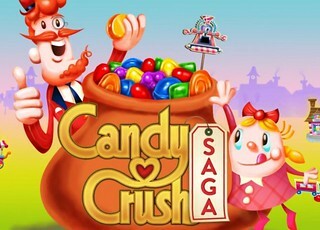 Candy Crush King Trademark "Candy". Is It Trademark Bullying? It seems everyone is playing Candy Crush these days, you're hard pressed to find someone who hasn't heard of the addictive franchise. But this is unsurprising since Candy Crush has amassed half a billion downloads on Facebook and mobile devices alone and was the most downloaded app of 2013. Candy Crush amounts to around around 78% of Kings total gross bookings which may explain why they are so adamant to protect their business by registering the trademark "Candy" across multiple classes including software and entertainment to clothing and accessories. Perhaps also in an attempt to utilize the franchises fame for clothing and accessories lines much like Rovio, creators of Angry Birds have done. The registration succeeded despite its 'genericness' and Apple have been enthusiastic in their support for removing any games that might infringe the mark. Benny Hsu, the creator of an iOS game named All Candy Casino Slots – Jewel Craze Connect: Big Blast Mania Land, was contacted by Apple to remove his app or prove that his game does not infringe upon King’s trademark. True enough in today's app market there are many cases of copycat apps due to the ease in which these games can now be created. But Kings approach to the situation is needlessly aggressive and their claim overly broad. In response to this aggressive filing and enforcement many Indie developers have taken up peaceful protest in the form of creating a slew of games with a candy theme and or encouraging the use of the word "saga" which King also plan to trademark. The issue is quite ironic since the game itself is based on the decade-old game Bejeweled that some of you may remember.